Many thanks to our volunteers: Esther Rechtschafner, Orna Kir and Merav Schejtman that transcribed more than 340 records. Very soon you will be able to search this database at http://genealogy.org.il/AID/index.phpAnother project completed for IGRA. 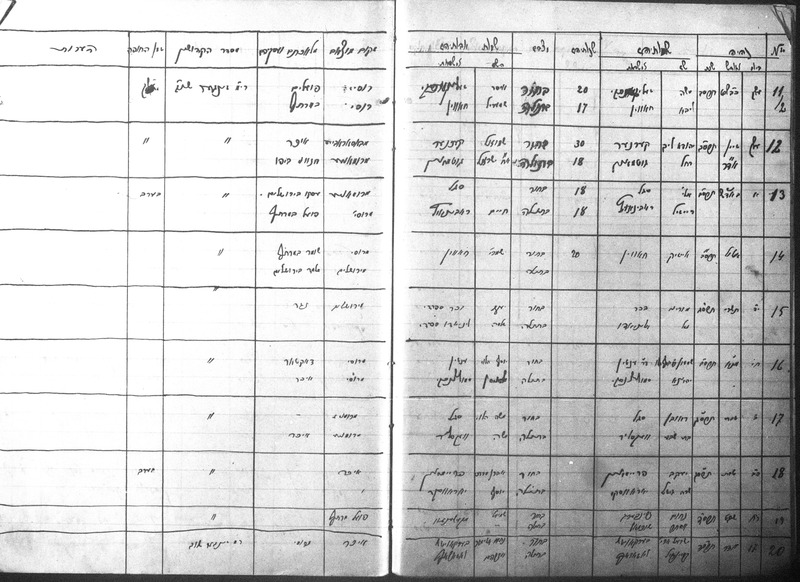 This is the marriage ledger of Rishon Lezion microfilmed by the Family History Library in Salt Lake City in 1985. 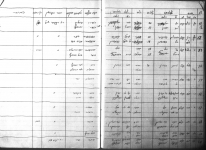 Most of the ledger has information of the marriage on two pages, but at the end of the ledger the format changes and there is less information. 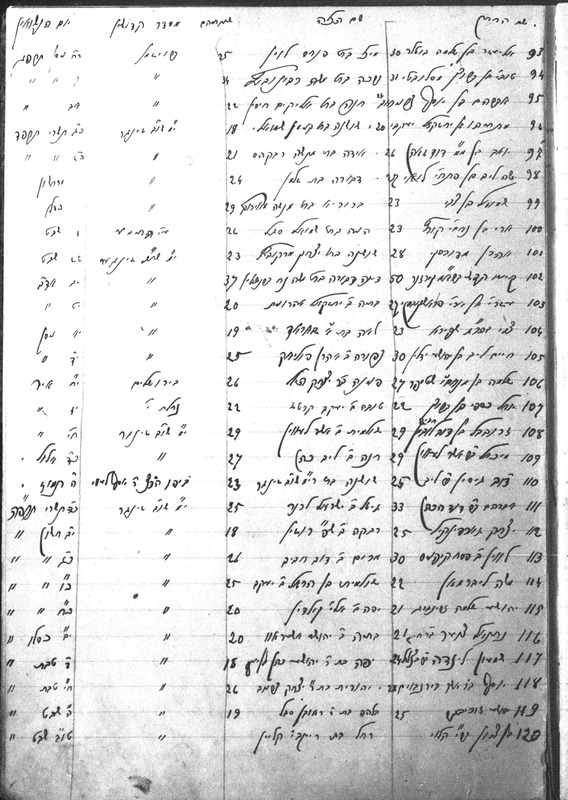 The information to be transcribed is on the right hand page. It isn't easy to read but do your best. Not all the information is being transcribed. A separate line is to be transcribed for the bride and the groom each. The fields to be transcribed are: father's given name, status (of the bride or groom), status, surname, given name, year (in the Hebrew calendar), month (in the Hebrew calendar), day (in the Hebrew calendar), spouse's given name, number.